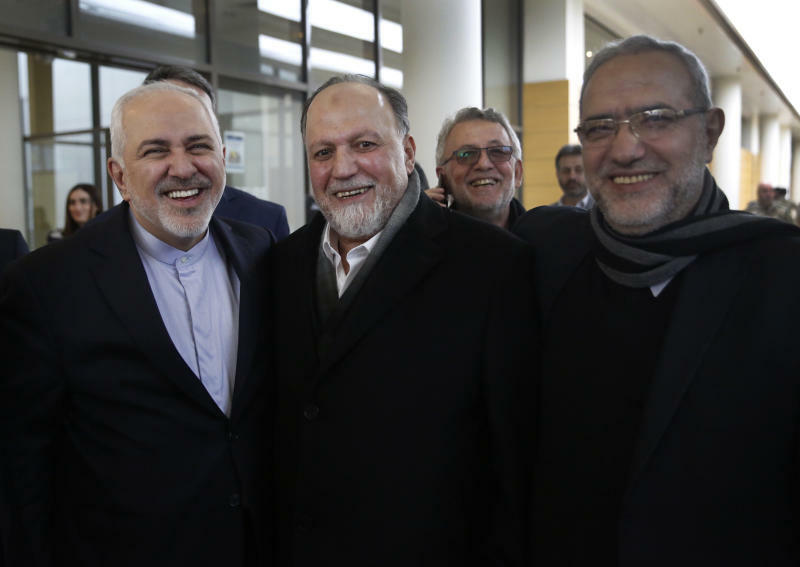 BEIRUT (AP) — Iran's foreign minister extended an offer for Iranian military assistance to the U.S.-backed Lebanese army on Sunday, saying Iran is ready to assist in all sectors should the Lebanese government want it. 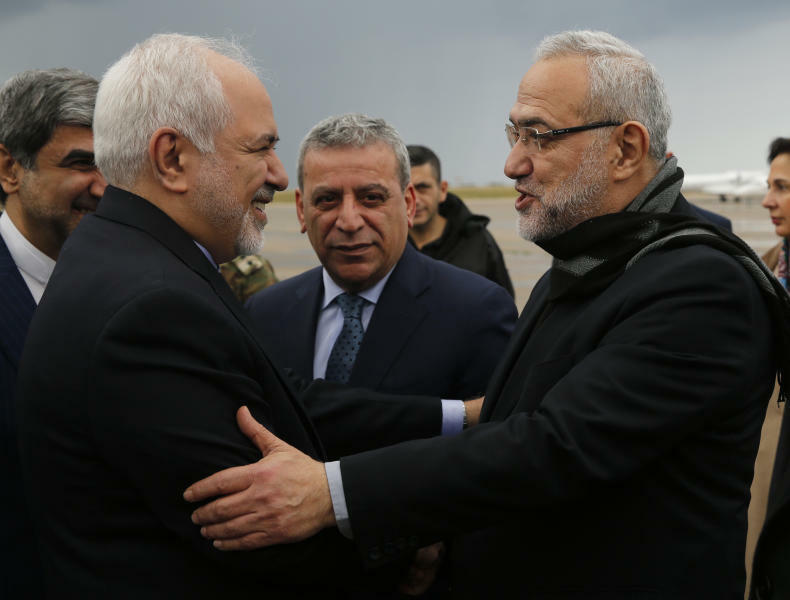 Mohammad Javad Zarif spoke to reporters Sunday at Beirut's airport shortly after his arrival in the Lebanese capital for a two-day official visit. "We are always ready (to support Lebanon militarily) and we have announced that on many occasions. This tendency does exist in Iran, but we are waiting for this desire to be there on the Lebanese side," he said. The comments came a few days after the leader of the Iran-backed Hezbollah group urged Lebanon's government to accept anti-aircraft weapons from Iran to confront Israeli warplanes. He also said Iran was ready to provide Lebanon with electricity and medicine. "Will the Lebanese government be brave enough to accept an Iranian offer? Why should Lebanon be afraid to cooperate with Iran?" Nasrallah asked during a speech marking the 40th anniversary of Iran's Islamic Revolution this week. The United States, which lists Hezbollah as an armed terrorist group, backs the Lebanese army through a program that aims to strengthen the military as the sole military force defending the country. Lebanon's Western-backed Prime Minister Saad Hariri formed a government late last month, after a nine-month vacuum that exacerbated the country's economic woes. Hezbollah has three ministers in the new cabinet, reflecting the gains made by the powerful group in parliament elections held in May last year. The group named the health minister, marking the first time it controls a ministry with a large budget. 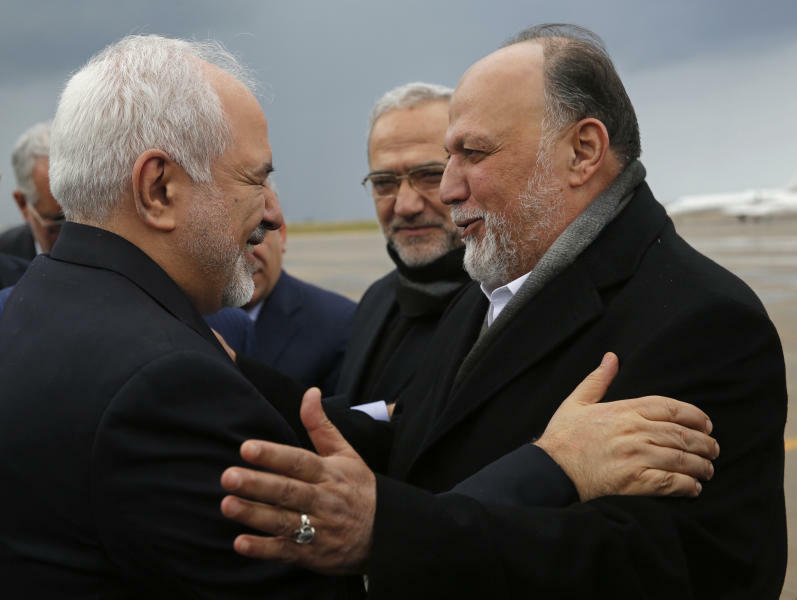 Zarif is the first senior official from the region to visit Lebanon since the new government was formed. He was met at the airport by a minister from Hezbollah and other officials from the Shiite group, which is deeply ingrained in Lebanese politics in addition to its role as an anti-Israel armed group. In his comments, Zarif congratulated Lebanese politicians and said Iran is ready to support the government in any way possible. Mahmoud Qomati, a Hezbollah member and state minister for parliamentary affairs, said later that his group appreciates there is international pressure on Lebanon but that shouldn't stand in the way of accepting Iran's offer to help the country's struggling economy. He urged the government to take a "brave" stand and accept the offer extended to it. Zarif is scheduled to meet with the Lebanese president, prime minister and foreign minister on Monday.